The Saltwater Highland Games, formerly known as The Myrtle Beach Highland Games will be held at its new location at the North Myrtle Beach Sports Complex. The event will start on March 23, 2018 and end on March 25, 2018. 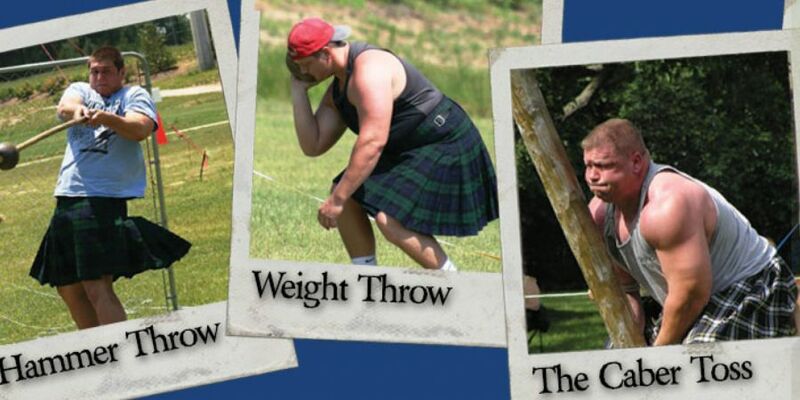 Saturday will be a filled with athletic competitions like the hammer throw, weight throw, and the caber toss. Enjoy the beautiful sights of the Clan Village and do some shopping in between events at the Marketplace. Don’t forget the live music and free whiskey tasting available all weekend long! Can you say relaxing? Bring the kids along and take them to the Kids Glenn where they can learn more about the rich culture and history behind the Highland Games. The celebrations on Friday are FREE, and tickets for the events on Saturday can be purchased in advance purchase on the Highland Games website. Pricing goes as follows: Adults 12+ ($13 advance/ $15 gate), Children 6-12 ($5 advance and at the gate), Children Under 5 (FREE), Seniors 65+ ($8 advance/$10 gate), and Military w/valid ID ($8 advance/$10 gate). The Saltwater Highland Games is full of activities that offer something for everyone and include Athletic Competitions, Clan Village, Celtic Marketplace, Scottish Whisky Tastings, Kid's Glen, Live Music & Entertainment, and many other exciting events.